2019 looks like it's going to be an exciting year for the smartphone industry. Brands like Apple, Samsung, Xiaomi et al are developing their flagship devices, and we'll be getting several launches over the course of the year. That being said, a number of brands will be launching devices in January itself, so here's our list of the five we're most looking forward to. Already launched in China (as the Honor V20), the Honor View 20 will be launched globally on January 22. It's the brand's first smartphone to feature an in-display hole for the front camera. This camera has a single 25MP sensor, while the dual rear camera has one 48MP primary sensor, along with a secondary Time of Flight sensor. The View 20 sports a 6.4-inch All-View display, and is powered by the company's Kirin 980 processor, with 6GB/8GB of RAM, and 128GB/256GB of internal storage. The device packs a 4000mAh non-removable battery. Huawei's Y9 (2019) smartphone will be officially launched in India on January 7, at an event in New Delhi. The device was first showcased in China back in October. The phone was recently teased on Amazon, and the e-commerce giant is taking registrations of interest via the 'Notify Me' button for the same. The Y9 sports a 6.5-inch FullView 3D curved display, and under the hood is the company's own Kirin 710 processor, paired with 3GB/6GB RAM, along with 64GB of internal storage. The phone runs Android 8.1 Oreo, with Huawei's EMUI 8.2 skin on top. The device packs a 4000mAh non-removable battery. On both the front and back is a dual camera setup. The rear camera sports one 13MP sensor paired with a 2MP secondary sensor, while the front camera consists of one 16MP sensor and a secondary 2MP sensor. Samsung is tipped to release its new M-series smartphone in India in January. The current lineup includes three names- M10, M20, and M30. The company has released no information about this new lineup as yet. According to rumours, the Galaxy M10 will sport a 6.5-inch display, and will be powered by the company's own Exynos 7870 processor, paired with 3GB RAM and 16GB/32GB of storage. It will run Google's Android 8.1 Oreo, and will pack a 3400mAh battery. Right now, we know that the M10 will feature a 13MP primary camera sensor at the back, and a 5MP selfie camera. The M20 will have a screen resolution of 2340x1080 pixels, with a 19.5:9 aspect ratio. Under the hood, it will have an Exynos 7885 chipset paired with a Mali-G71 MP2 GPU. The device will come with 3GB RAM, and 32GB/64GB of internal storage, expandable via micro-SD. The smartphone will run Android 8.1 Oreo with Samsung's Experience UI skin on top. Finally, the M30 will have similar screen resolution and aspect ratio specs to the M20, as well as the same Exynos 7885 processor, paired with 4GB RAM and 64GB/128GB of expandable storage. Xiaomi is expected to launch the Redmi Pro 2 in China on January 10, although there is no word on when it will come to India. However, considering the popularity of the Redmi brand in India, we can expect it to be soon. Rumour has it that the Redmi Pro 2 will be the first 48MP rear camera offering from the brand. The device will be powered by the Qualcomm Snapdragon 675 SoC. 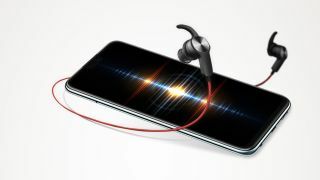 According to media sports, it may sport a 'punch-hole' display similar to the Honor View 20 or the Samsung Galaxy A8s. Lenovo's upcoming Z5 Pro smartphone will be the world's first to feature 12GB of RAM. The phone was showcased during the launch of the Lenovo Z5, with the company stating that it would launch the Z5 Pro in China sometime in January. Reports suggest that it will also be launched globally in the same month. The Lenovo Z5 Pro sports a 6.39-inch FHD+ AMOLED display with a slider design setup. Under the hood, you'll find a Qualcomm Snapdragon 855 SoC, paired with an Adreno 640 GPU. The device will feature 12GB of RAM, as well as an in-display fingerprint sensor.